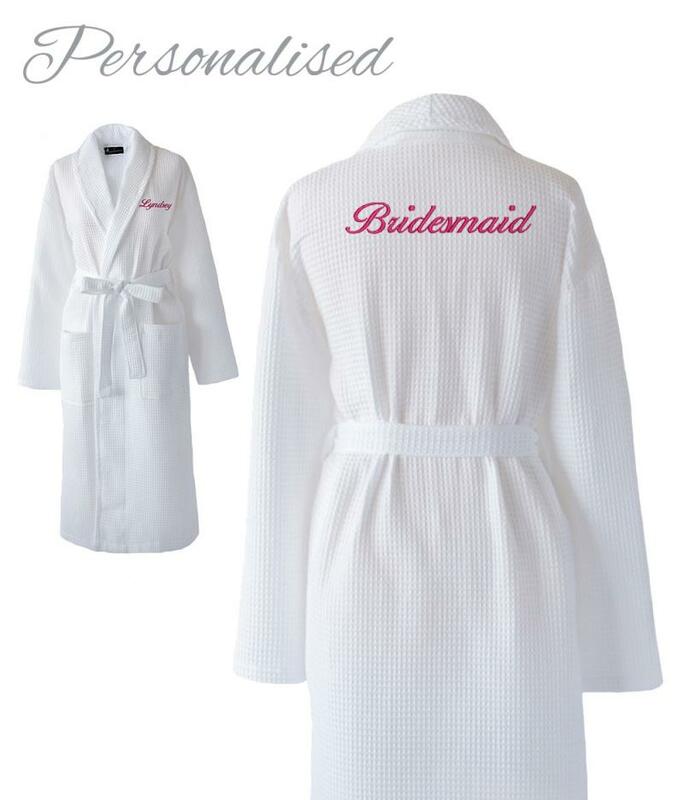 These personalised bridal dressing gowns are perfect for photos, and a fantastic souvenir of the day for everyone in the bridal party. 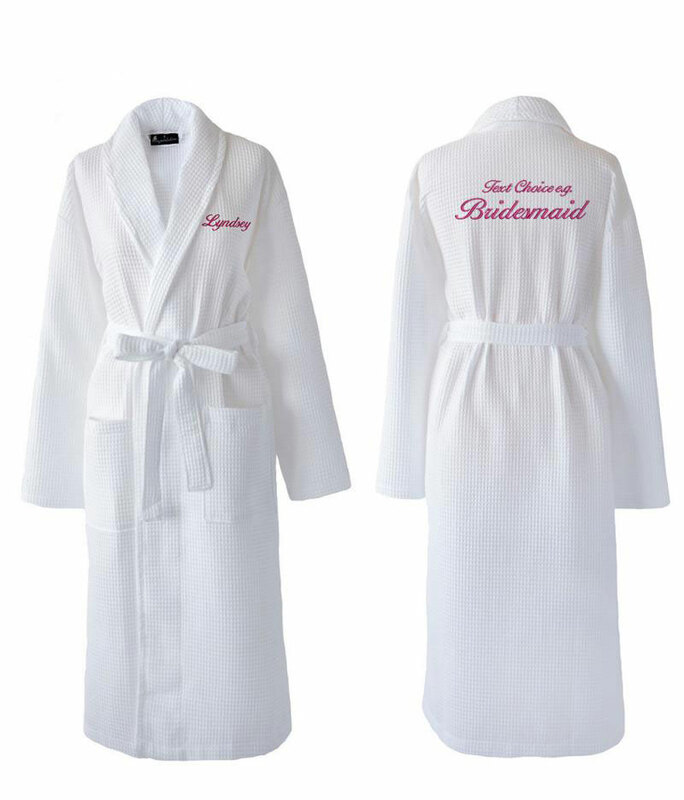 Every bride looks beautiful at her wedding, but you can also look stylish before hand by decking out the whole party with these bathrobes. Adds yet more memorable moments to the wonderful day! 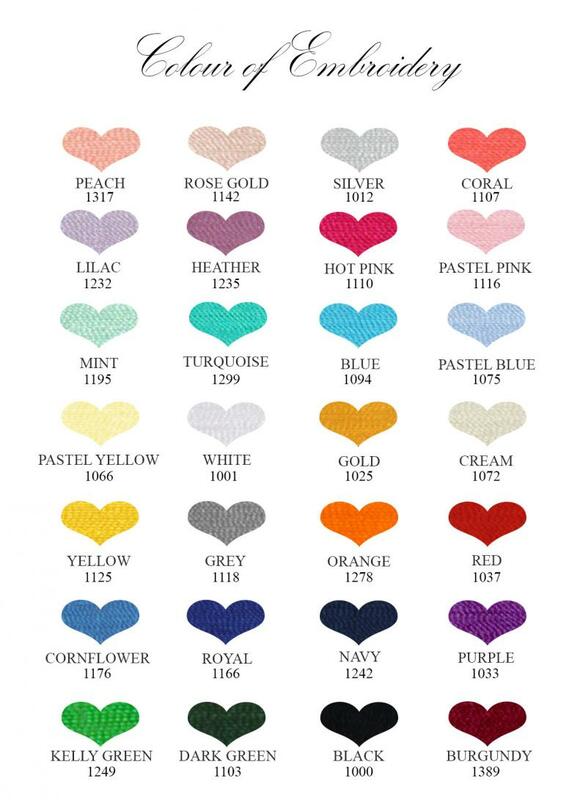 - 100% Cotton Waffle fabric, giving a soft luxurious feel. 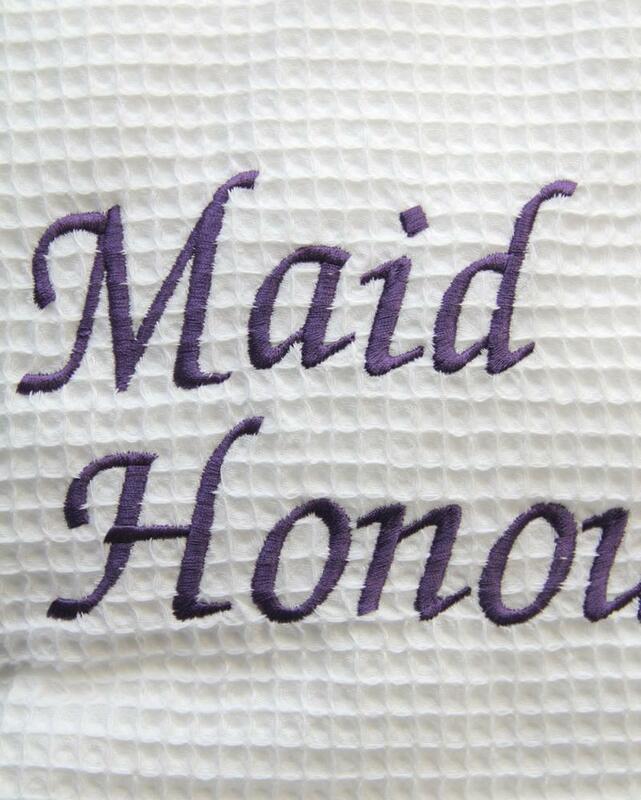 - The robe comes complete with a matching waist tie. Two pockets. 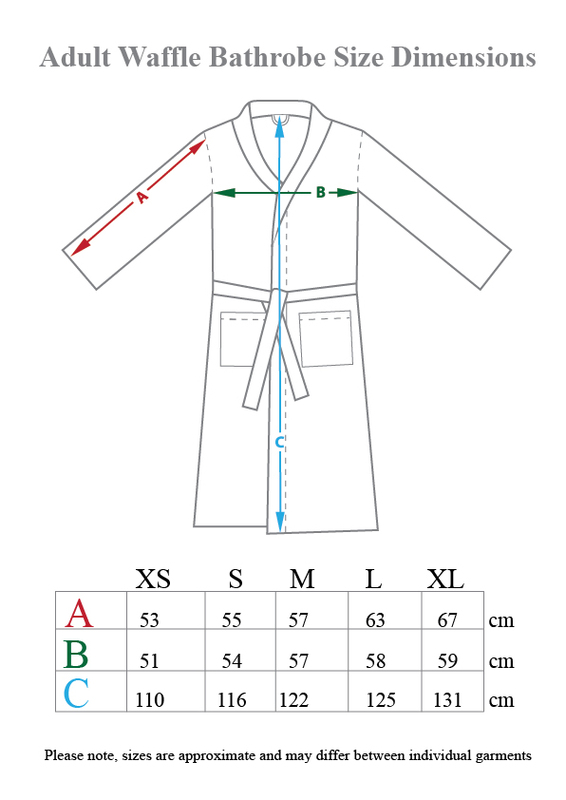 - The length of the robe is below the knee. 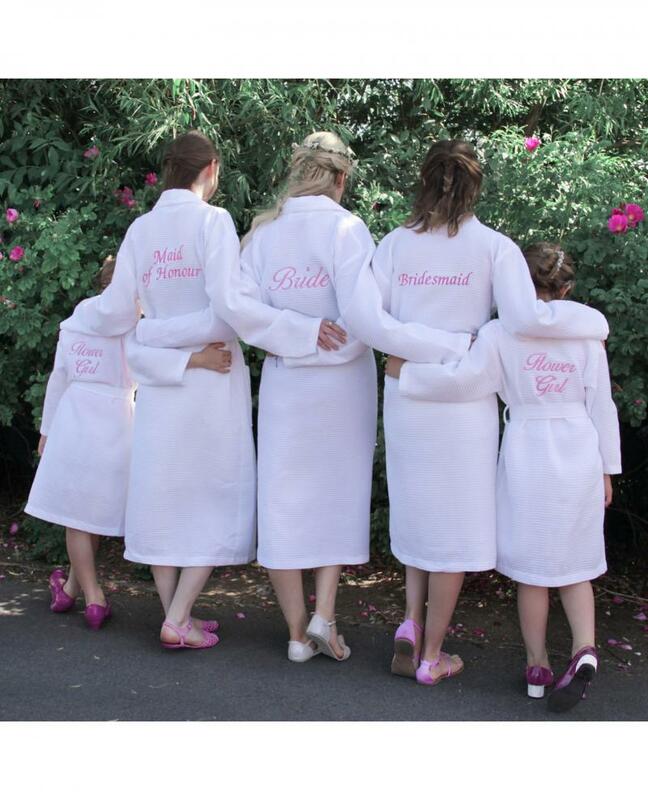 - The robes are roughly equivalent to the following UK sizes: XS (8-10), S (10-12), M (12-14), L (16), XL (18). 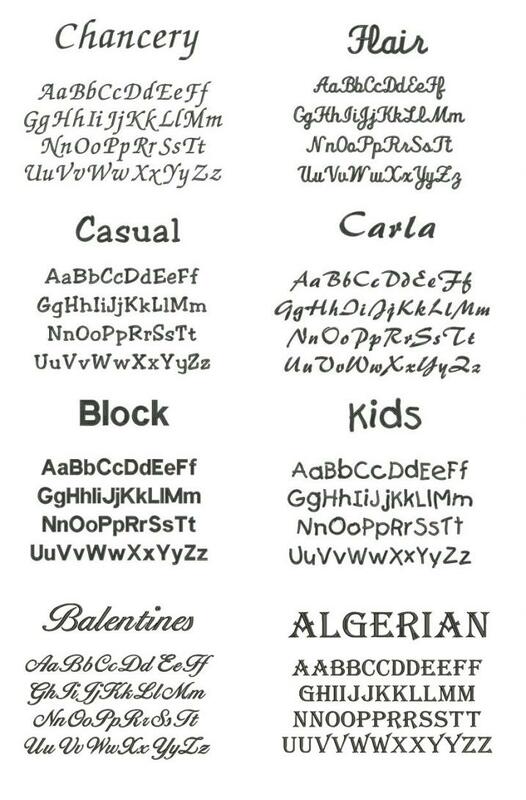 Please use this as a guide only – refer to the sizing chart for more detailed measurements.